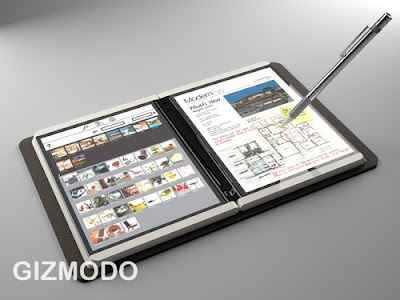 It looks like Microsoft has leaked a new Multitouch Tablet Concept to Gizmodo. This is far too much accurate info to just be a random find. Microsoft is trying to get the word out and see if anyone wants it. What are they are trying to test. Why they didn't incorporate their voice input technology? This is such a cool Scifi meme, but I wish it would go away. There are two basic techniques for doing this. One is to have powerful prisms within a centimeter the eye. These are highly fatiguing after a short time. The second is to shoot lasers into people's eyeballs. Here's my prediction: shooting lasers into people's faces is an essentially scry idea and will never be socially acceptable. It's a shame. That future would be cool! I frequently get emails asking what multitouch interface technologies are available and haven't had an easy, comprehensive resource to send them to. If you are looking for this sort of information, this link is the survey you've been looking for. Thanks to lead author, Johannes Schöning for sending this over. Multitouch Maven/Point and Do are a year old today! The unexpected joy of doing this blog has been the opportunity to meet so many unique and interesting people, both online and in person. I've pulled what I think are last year's ten best posts for your enjoyment. This blog is a two way conversation. Drop a line. I'd love your feedback on where to go next. 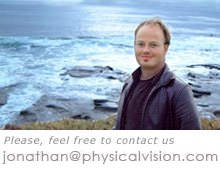 Josh Blake, my good friend, colleague and intrepid writing partner has proposed a manifesto. The MOAD Project. Check it out! Check out this demo of various near field interaction sensors from the Touch project at Oslo School of Architecture and Design. First Cheap Multitouch Monitors are Coming! 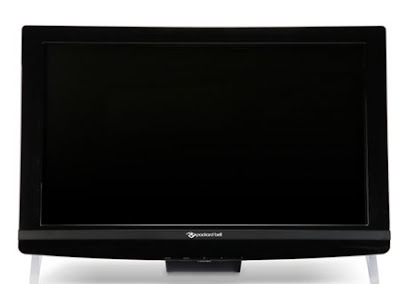 Packard Bell, renouned maker of mediocre hardware is putting out the first consumer multitouch display. Looks like it's gonna be about $300...just low enough to impulse buy. I look forward to picking one up as soon as it's on the market. I'll do a review when I get it. In our top secret research and development bunker, we've been working on a framework for creating interactive architecture and it's great to start to see this space come into its own. 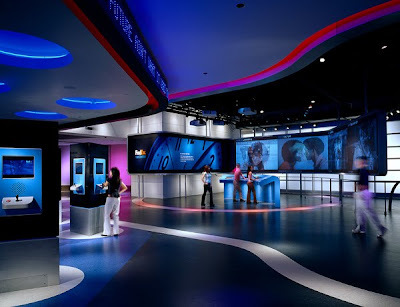 Over the past decade, the team I am working with has done a tremendous amount of work in this area, ranging from interactive tables for exhibits to full on environments where lighting, sound and video are controlled by user movements. It seemed like it might be fun to show a couple of projects the team has participated in over the years.